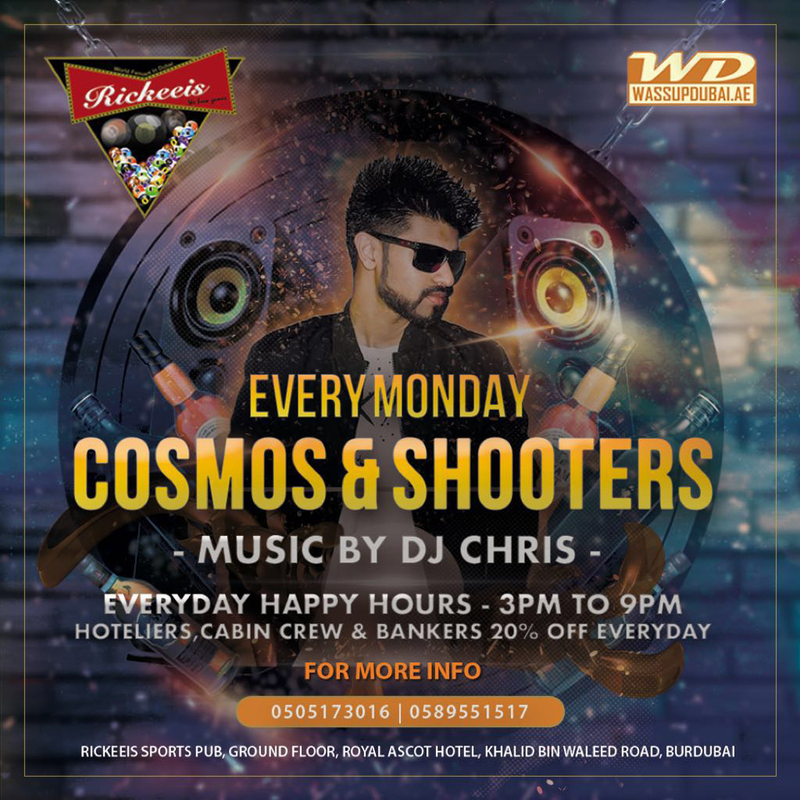 Every Monday: Cosmos & Shooters Night. What better place to enjoy tasty food, great drinks deals and the latest sports! Rickeeis Sports Pub is where it is at (Ground Floor, Royal Ascot Hotel, Bur Dubai). For reservations call 050 517 30 16 / 058 955 1517.